The parish church of Holy Rood in the little Cotswold village of Ampney Crucis is perhaps best known for the superb 14th century cross that stands in the churchyard, but there are other historical treasures to enjoy, including the ornate Elizabethan tomb of George Lloyd and his wife in the north transept. Lloyd was lord of the manor at Ampney until his death in 1584. 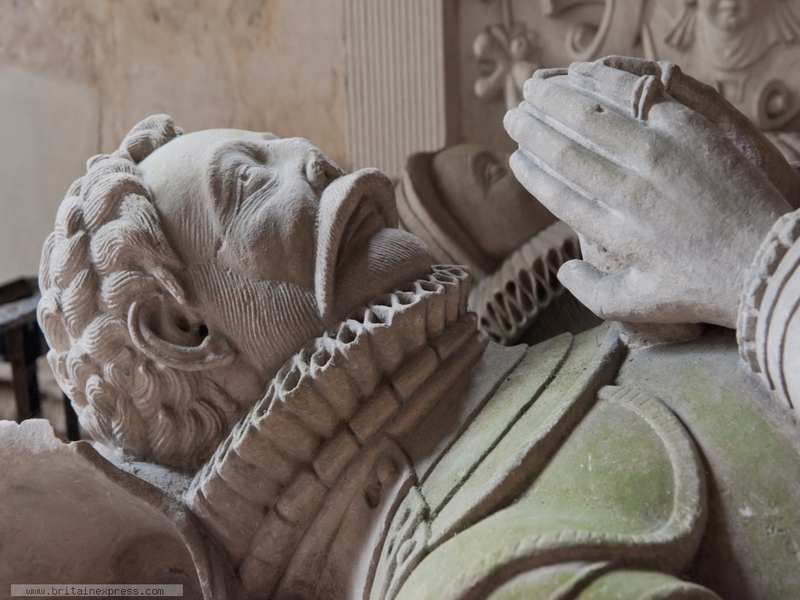 The effigy is wonderfully detailed, with every curl of Lloyd's hair beautifully carved.